Note: We must apologize for the audio issues for the first couple of minutes of the show, we had an issue that we weren’t able to fully correct but we didn’t want to completely scrap this show. 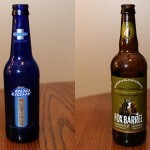 For the second time this month, we’re adding another voice to our group of blind taste testers. We welcome Shawnna to the show as they take on the odd couple of Bud Light Platinum and Fox Barrel Ginger & Blackcurrant. 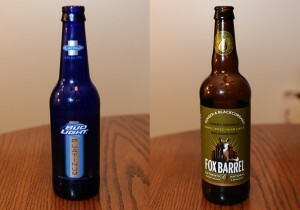 Posted in Blind Taste Testing (2011 - 2013) and tagged Bud Light, Bud Light Platinum, Fox Barrel, Ginger and Blackcurrent, Platinum, taste.